Nivio has announced what it rather confusingly labels the 'Gmail of desktops' – basically a desktop and utility package that you can access remotely. The browser based system allows people to use software applications hosted on a remote PC, which brings extra security for the user and the capacity to use any old internet café or library computer for access of a much more powerful system. Of course this also brings all the security patches and secure storage that you would expect as well. But what makes this different to similar competitors? 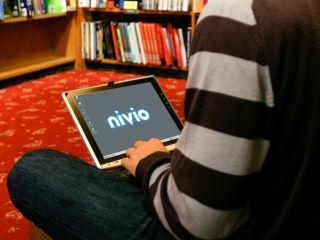 Well Nivio insists that it only has partial competitors – namely because it is the only company to "legally provide an online Windows XP desktop at a consumer price point with a suite of fully licensed applications available on demand for monthly rental." It's a decent concept and the pricing appears to start at just a fiver a month.